London architectural and design consultants Stanza Design have worked on a number of sites with this client and this one typifies our approach to unusual or demanding locations. 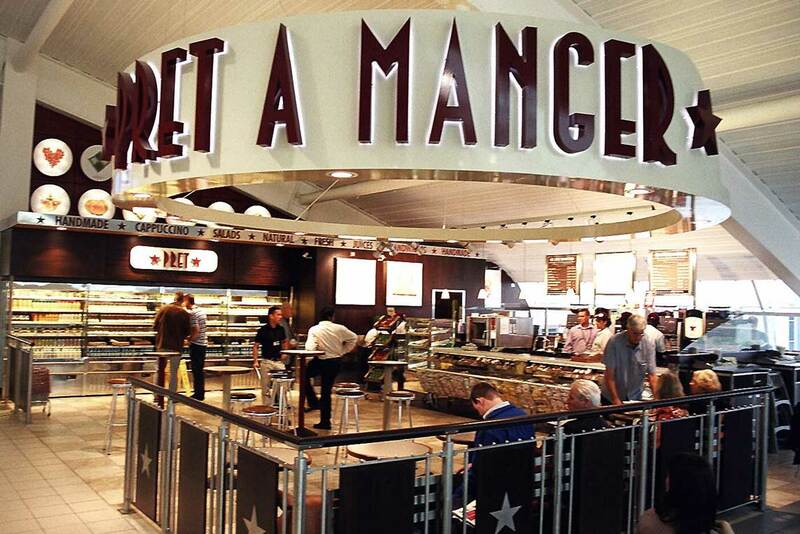 Within the departure lounge of the new terminal at Luton Airport a world-class retail offer includes Prêt A Manger whose bold statement enhances the travelling experience. The challenge here was to deal with a vast very high space and allow for extensive queuing room while at the same time providing for a comfortable and inviting seating area. The credibility of this well known quality brand increased Luton's Airport marketability. 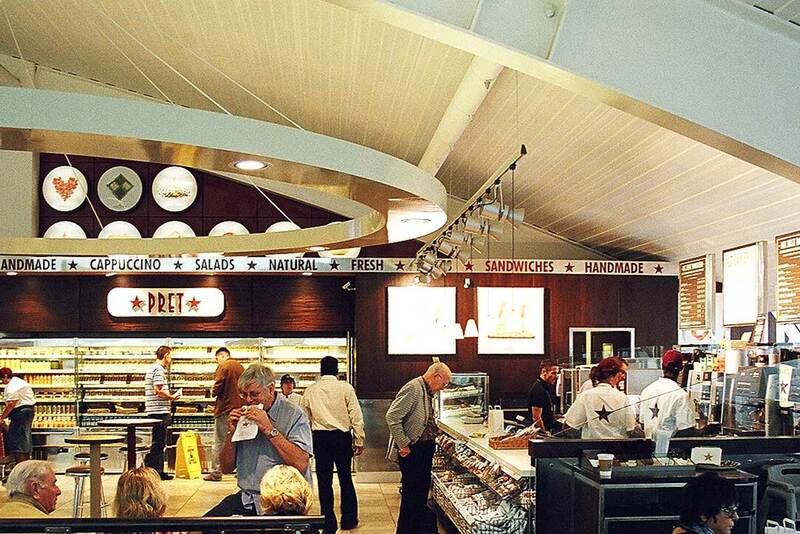 The quality fast food offer raises the benchmark for this smaller UK airport.